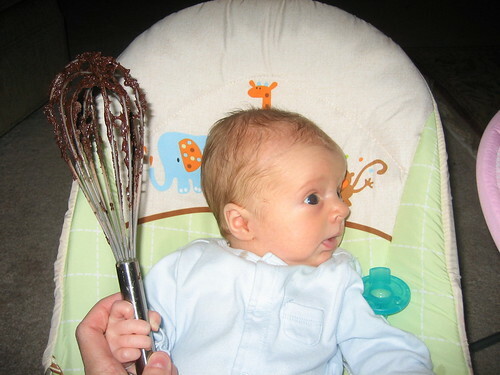 I’m not sure what that facial expression means, but I don’t think this kid is giving up that chocolate frosting without a fight. "What Do You Mean ‘Not for Baby’? ", originally uploaded by M&S Warbucks.